Sandlos, John and Arn Keeling. "Mining". The Canadian Encyclopedia, 04 March 2015, Historica Canada. https://www.thecanadianencyclopedia.ca/en/article/mining. Accessed 24 April 2019. Canada ranks fourth in the world in copper mining. This operation is located at Murdochville, Québec (photo by Bob Anderson/Masterfile). LaRose Mine, 1910, one of the major producers of silver in the Cobalt area of Ontario (courtesy John Mitchell Coll/Canadian Kodak). 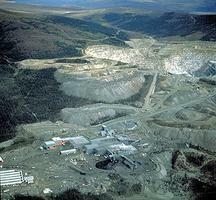 Open pit mining in Marmora, Ontario (courtesy Aerocamera Services). Hemlo mine in northern Ontario (photo by Brian Milne/First Light). Nickel plate mine, just outside of Hedley, BC (photo by Michael Breuer). Mining is one of Canada’s primary industries and involves the extraction, refining, and/or processing of economically valuable rocks and minerals. Mineral products – including gold, silver, iron, copper, zinc, nickel – are critical to modern industrial society. Although mining has been key to Canadian settlement and development, in recent decades the industry has also been criticized for its environmental and social impacts. Canada remains one of the world’s leading mining countries and has become a centre of global mining finance and expertise. Mining entails the extraction of ore, defined as rock from the earth’s crust containing valuable minerals. 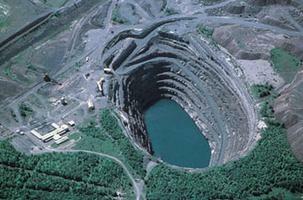 It may also include quarrying, or the digging of sand, gravel or aggregate for construction purposes. 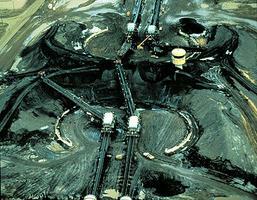 Although the excavation of oil sands is similar, oil and gas production is not typically considered mining. Important Canadian mineral products include precious metals (gold, silver, platinum) and diamonds; base metals (iron, copper, lead, zinc, nickel); energy minerals such as coal and uranium; and industrial minerals (limestone, rock salt, potash, gypsum). The broad term “mining” often refers not only to the direct extraction of minerals, but to the complete cycle from discovery to mineral processing. Mineral exploration entails the identification of geological formations that may contain valuable ore. These formations may be found by prospectors traveling over the land or (increasingly) by aerial reconnaissance and sophisticated remote-sensing equipment. Once a valuable ore body is identified and claimed by a mining company, actual mining may proceed if market conditions are favourable and investors can be found. Mineral extraction ranges from basic low-technology techniques to massive energy- and capital-intensive undertakings. 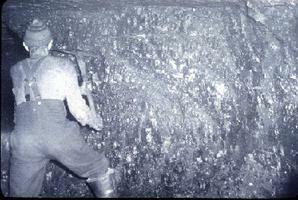 Historically, “high-grade” ores (containing high levels of target minerals) were mined using simple pick-and-shovel or water separation techniques (pans, sluices, etc. ), often by a solo miner or small team. Gold was often mined in this manner. As accessible high-grade deposits declined, more elaborate technologies such as dredging and hydraulic mining (i.e. washing away sediment with high pressure water streams) required larger capital investments. Dredging, for instance, was key to maintaining production in the Klondike goldfields after the initial high-grade creek sediments were mined out. Coal and base-metal mines typically required digging and blasting deep underground to follow the veins of ore, for example, some mines tunnel far into mountain sides, while others range below water bodies (as at Newfoundland’s Bell Island mine). Throughout the 20th century, technologies such as underground railcars, machine hoists, and large power shovels reduced the need for human labour as well as the rate and severity of industrial accidents. After the Second World War, declining ore grades and new technologies, including large earth-moving machines, spurred the development of “opencast” mining. These methods, also known as strip mining or open-pit mining, remove surface material, or overburden, to reveal extensive, low-grade deposits. The removal of vegetation and soils and the creation of massive pits by opencast mining make it controversial as a source of landscape degradation and water pollution. 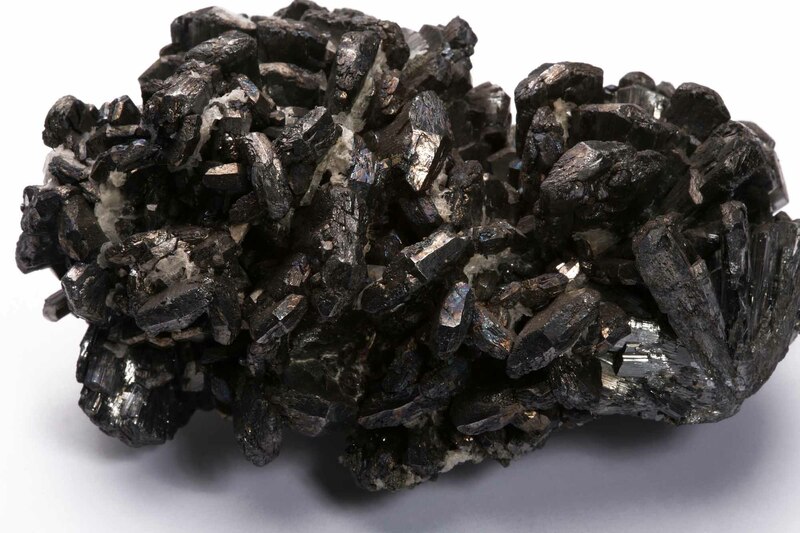 Typically, target minerals form a small fraction of mined rock; today’s mines often exploit ores containing a fraction of a percent of valuable minerals. 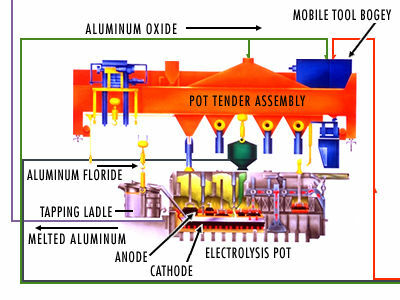 Mineral processing, or beneficiation, removes target minerals through various thermo-mechanical or chemical techniques. The waste material, a pulverized rock slurry known as tailings, poses a major disposal challenge. It often contains heavy metals (cadmium, arsenic, lead, zinc, etc.) that may be released into waterways, soil, and the air (as dust) at levels that threaten the health of humans and wildlife. Moreover, tailings from sulfide mineral deposits may react with water and air to produce sulfuric acid (or acid mine drainage) which can in turn dissolve more toxic heavy metals from surrounding rock or waste piles. In the case of uranium or radium mining, radioactive material within tailings may present a danger to local populations of humans and wildlife. At many mines, the sheer volume of waste rock and tailings can be staggering, creating large-scale, human-made topography such as ridges, hills, and the pits where the tailings were originally mined. The processing of ore in smelters, where rock is heated to very high temperatures to extract base metals, can result in smokestack pollution in the form of toxic compounds, such as sulfur dioxide and arsenic trioxide. While technological improvements have resulted in the increased capture of these pollutants prior to emission from smelter stacks, the collection of highly toxic dusts, such as arsenic trioxide, can pose additional waste disposal problems. More broadly, the combination of high postwar demand, declining ore grades, and increasing volumes of rock and tailings has meant that mining now generates the largest waste stream of any industry. Pre-contact Aboriginal use and trade of Canada’s rich mineral resources included copper, gold, silver and chert. European exploration and colonization of northern North America was partially motivated by the search for valuable minerals. In 1577–8, Martin Frobisher established a mining operation at Baffin Island although the ore shipped turned out to be worthless and the venture collapsed. Fur trader Samuel Hearne and his guide Matonabbee traversed the region west of Hudson Bay to the mouth of the Coppermine River from 1770–2, in search of deposits of copper exploited by Dene people (including the Yellowknives, so named for their copper tools). During this early colonial period, settlers and sailors exploited small quantities of underground resources, particularly coal outcrops on Cape Breton Island and in New Brunswick, for local trade in the mid-17th century. 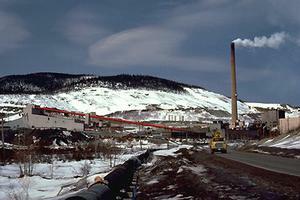 Large-scale industrial exploitation of mineral resources in Canada commenced at the St. Maurice Forges in Québec. They were fed by iron deposits at Trois-Rivières and operated from 1738 to 1883. Industrial demand for coal and iron spurred the expansion of mining and smelting in the late colonial period. Coal mining developed rapidly near Sydney, Cape Breton, and, in the mid-19th century, major coal deposits were located on Vancouver Island. Precious metal discoveries in the 19th century spurred settlement and hinterland development across the country. Placer gold deposits in Québec and Nova Scotia stimulated important new mining laws, and massive gold rushes to the Fraser Canyon in British Columbia (1858) and the Klondike in the Yukon (1896) led directly to the extension of colonial and, eventually, Canadian authority over these regions. Silver discoveries north of Lake Superior spurred treaty-making with local First Nations to permit prospecting and mineral development in the 1850s. Ontario’s rich Silver Islet mine was notable as the first site to use a diamond drill and compressed air drills. Silver discoveries near Mayo in the central Yukon led to the establishment of the Keno Hill mining camp, whose production between 1913 and 1989 exceeded the value of the Klondike. Railway construction at the end of the 19th century opened up new mining territories in Northern Ontario and across the country. Canadian Pacific Railway construction led to the development of two of Canada’s most significant individual mines: Sudbury nickel in the 1880s and, later, the Sullivan lead-zinc mine in the Kootenay region of British Columbia. Colonization railways constructed in northern Ontario led to the important silver discovery at Cobalt (1903), which, for a time, was North America’s greatest silver camp. 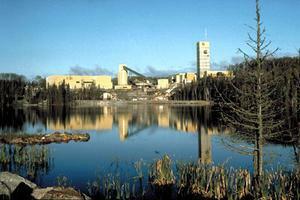 The pre-First World War period also saw the discovery of gold at Porcupine (later Timmins) and Kirkland Lake, Ontario. In the first half of the 20th century, Canada emerged as a world-leading producer of a wide range of minerals. Mines in the Canadian Shield produced not only precious metals but, increasingly, critical base metals, such as copper, lead and zinc as well. Mines at Flin Flon (copper-zinc) and Sherridon (nickel), Manitoba, helped consolidate the province’s northward expansion, and similarly dramatic transformations followed the discoveries of radium at Great Bear Lake and gold at Yellowknife in the 1930s, inaugurating the Northwest Territories’ storied mining history. 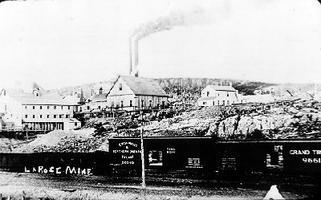 To the east, gold mines were founded in the Rouyn-Noranda–Val-d’Or gold belt in Québec in the 1920s. Driven by global demand for raw materials, the post-Second World War period witnessed a rapid expansion in the industry and saw important developments in recently-discovered minerals, such as uranium at Great Bear Lake, in northern Saskatchewan, and northern Ontario; potash on the Prairies and in New Brunswick; and industrial minerals such as asbestos, molybdenum and gypsum. Though not a major global producer, the Canadian coal industry also expanded, even as the Nova Scotia and Newfoundland fields were exhausted, through the development of large open-pit and strip-mining operations in British Columbia. Beginning in the 1960s, opencast mining permitted the massive expansion of Canadian mineral production from coast-to-coast. Key sites included: Pine Point, Northwest Territories (lead, zinc); Highland Valley, British Columbia (copper); Northern Saskatchewan (uranium); Thetford Mines, Québec (asbestos); the Brunswick #12 mine at Bathurst, New Brunswick (lead, zinc, copper); and Schefferville, Québec, and Labrador City, Newfoundland (iron ore). Mining also expanded to Canada’s far north; the short-lived Rankin Inlet nickel mine was Canada’s first Arctic mine and was followed by Nanisivik and Polaris, the first high-Arctic mines. More recently, a major nickel mine was established at Voisey’s Bay, Labrador, and diamond mines (Ekati and Diavik) in the Northwest Territories opened in the 1990s, even as the latter region’s gold mines began their decline. Since the 1990s, Canada has emerged as a globally significant producer of diamonds and platinum group metals, while rare earth elements (used in green technologies and consumer electronics) are considered an important future prospect. Mineral processing industries also expanded in this period, from the presence of a few smelters (notably at Trail, British Columbia; Sudbury, Ontario; and Arvida, Québec), to include a dozen base-metal refineries across the country, ferro-alloy plants for processing iron ore, as well as a number of other types of mineral “beneficiation” facilities. Aluminum smelters were established in the Saguenay–Lac-Saint-Jean region of Québec before the war and at Kitimat, British Columbia in 1951, each taking advantage of large hydroelectric power installations. The value of mineral production surged in the postwar period, growing from just over $400 million to over $5 billion in 1975. Although the industry is beset by cyclical downturns in demand and price, —usually associated with recessions, such as those in the early 1980s and 1990s — the total value of non-fuel minerals reached $21.7 billion in 2004. After a dip in 2011, Canada’s total estimated mineral production in 2012 topped $46.8 billion, representing 3.4 per cent of the country’s gross domestic product. While mining’s importance to Canada’s overall economy and employment has declined, it remains a regionally significant industry, particularly in northern parts of the provinces and the northern territories. Ontario, British Columbia, Saskatchewan and Québec are the leading mineral producing provinces. Canada is not only a major producer of important minerals and metals, but also a centre of global mining finance and expertise. The TSX and TSX Venture stock exchanges have become world centres for investment in mining and mineral exploration companies. Canadian-based firms operate mines around the world, but there is increasing scrutiny and controversy surrounding the practices and impacts of Canadian mining companies in developing countries. Similar concerns around the effects of large-scale mineral developments on nearby Aboriginal territories in Canada (especially in the North) are prompting mining companies to adopt “corporate social responsibility” initiatives, including community consultation and impact and benefit agreements.